Jamie’s research career started with a bachelor of Biomedical Science at the University of Newcastle back in 2005. 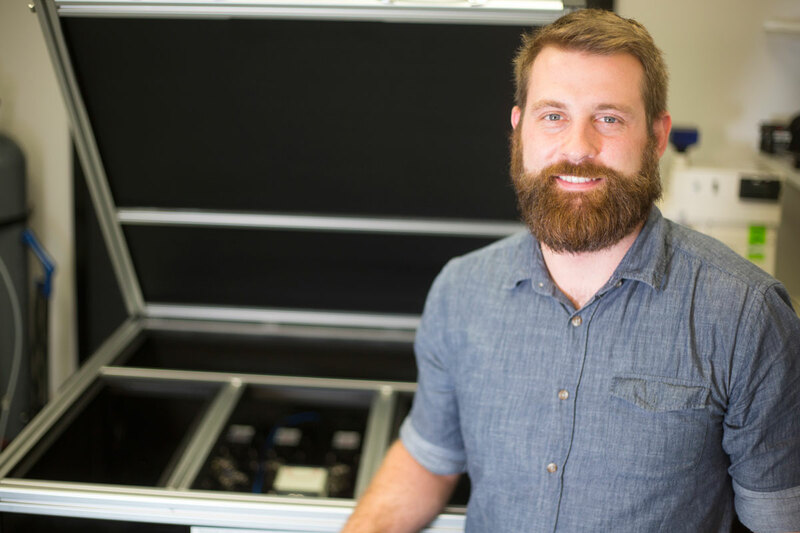 Undertaking a PhD in Brett Graham and Bob Callister’s lab, Jamie learned electrophysiology and a technique called ‘patch-clamp electrophysiology’ to record electrical signals from individual neurons. “During this time, I spent about nine months over at The Salk Institute of Biological Studies in San Diego, working in Professor Martyn Goulding’s lab. That’s where I delved into the genetics and anatomy behind basic types of spinal cord neurons, which gives you a wealth of information. "That’s when HMRI came on board with Jennie Thomas AM, HMRI Life Governor and the Newcastle Permanent Charitable Foundation. They gave us lab space and the money to buy the parts, and over six months we got it working. The team now run the lab as a communal facility to ensure all labs at HMRI and UON have access to the technology." Read more about the CLARITY light-sheet microscope project. Joint Project Leader for 3D Tissue Clearing and Lightsheet Microscopy Facility at HMRI.